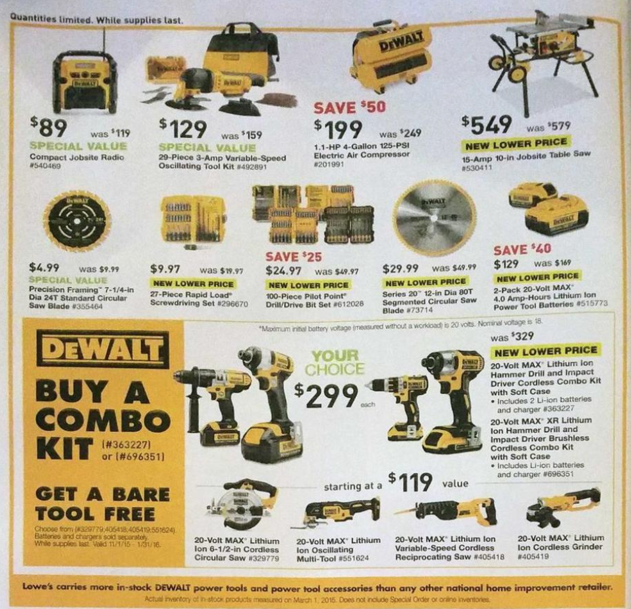 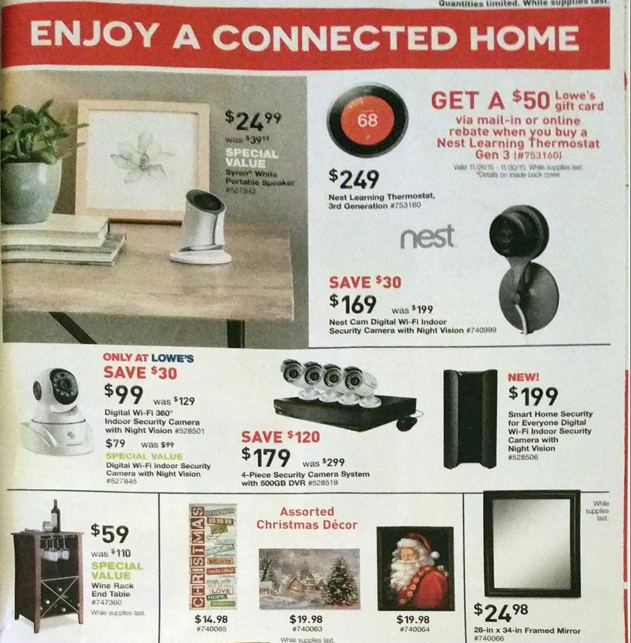 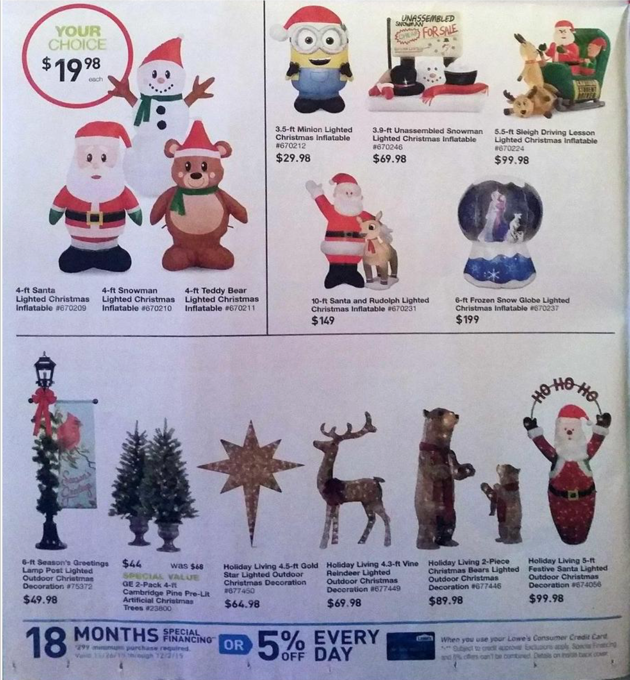 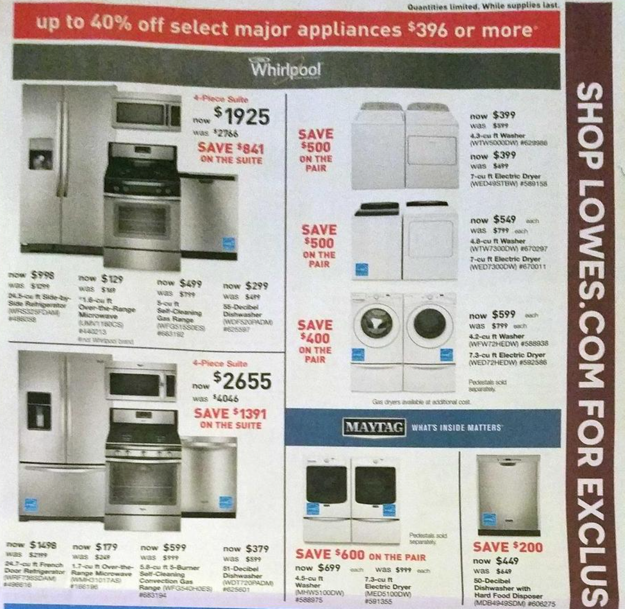 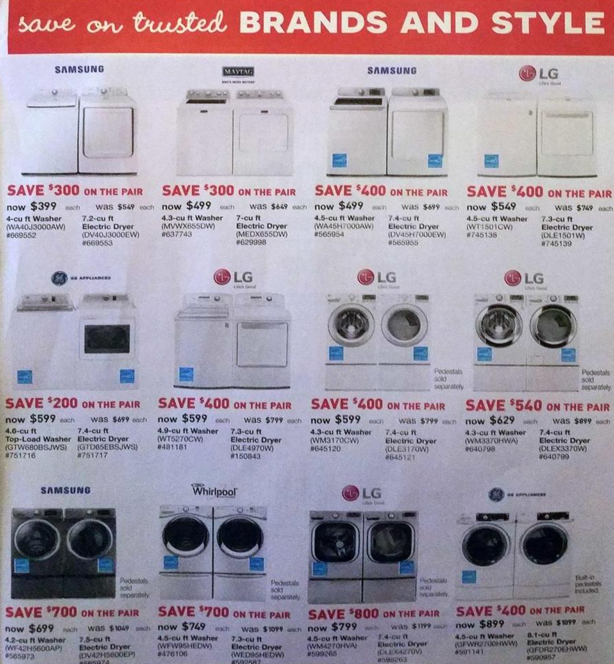 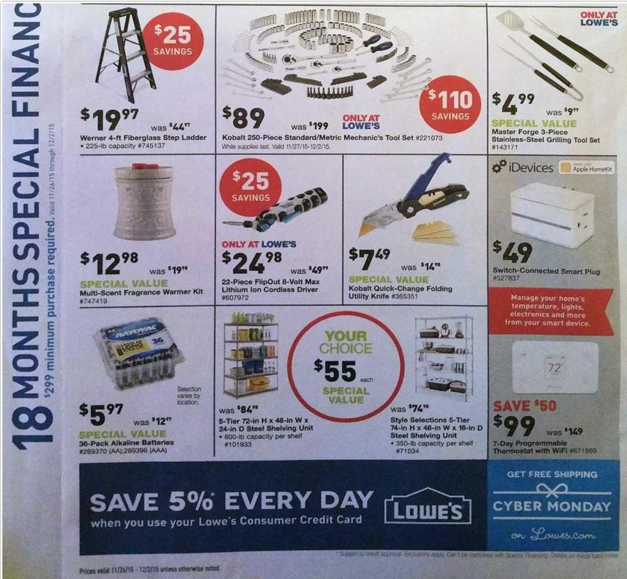 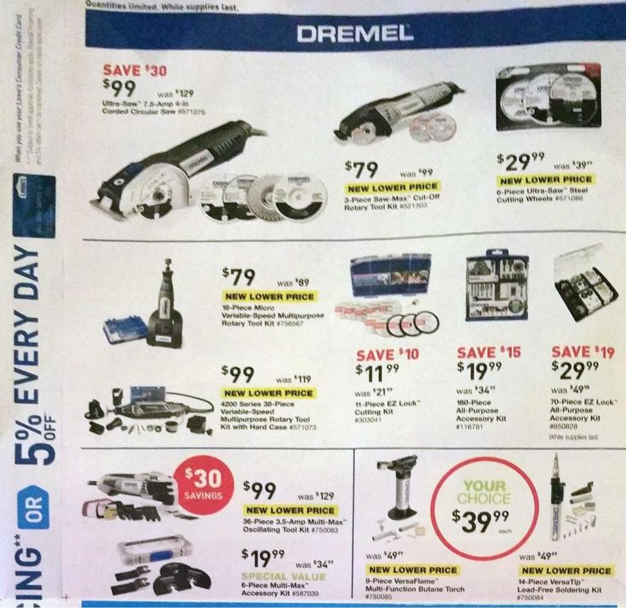 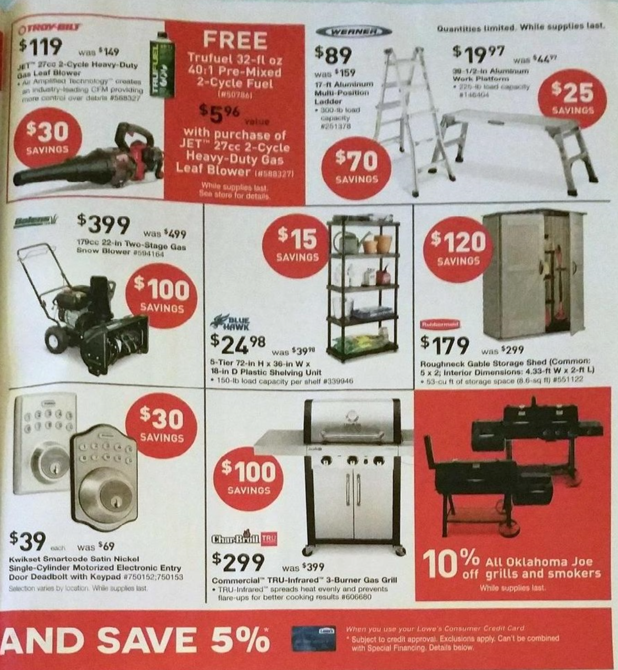 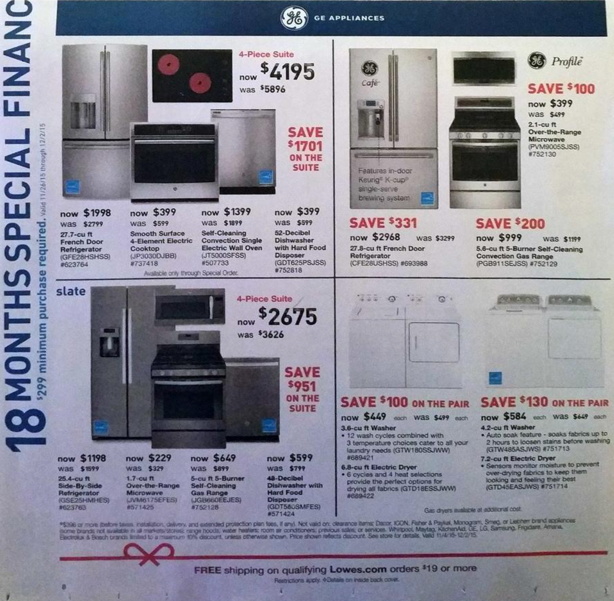 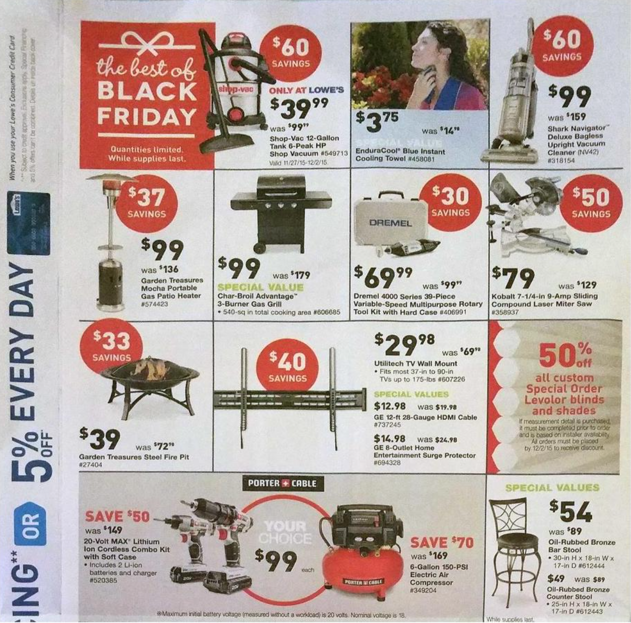 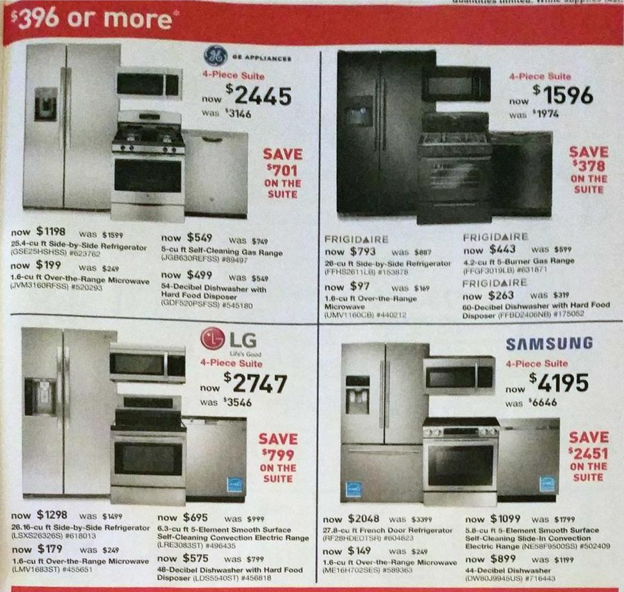 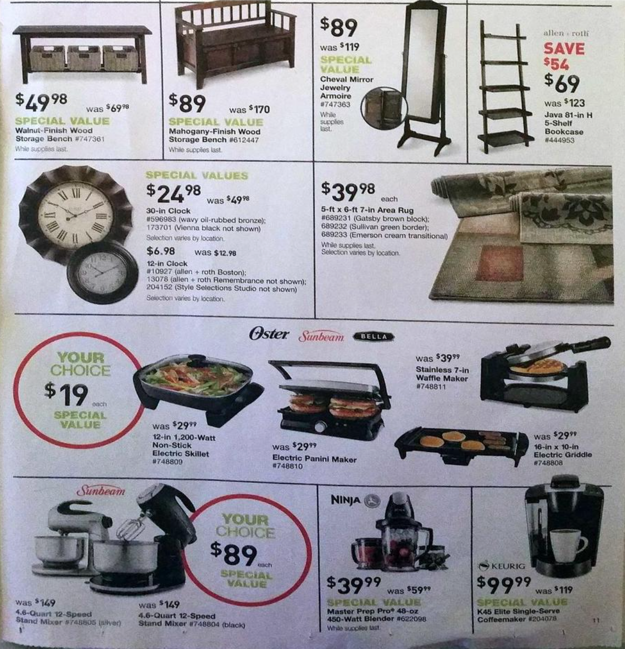 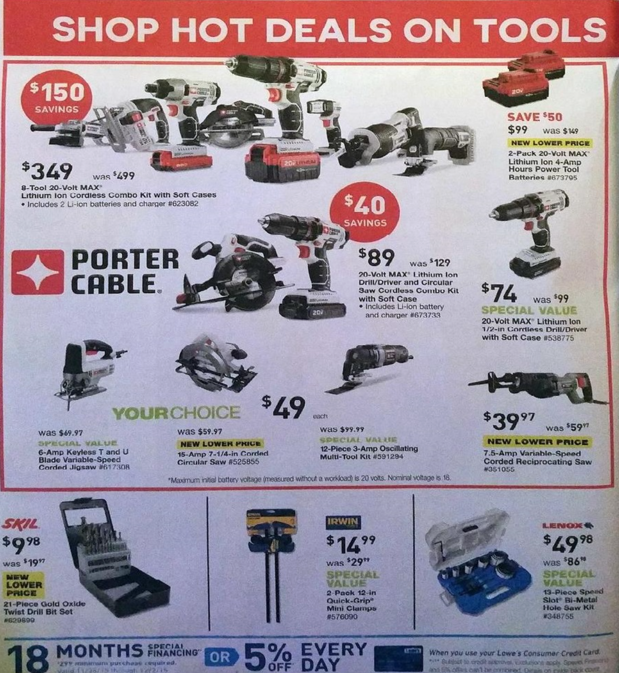 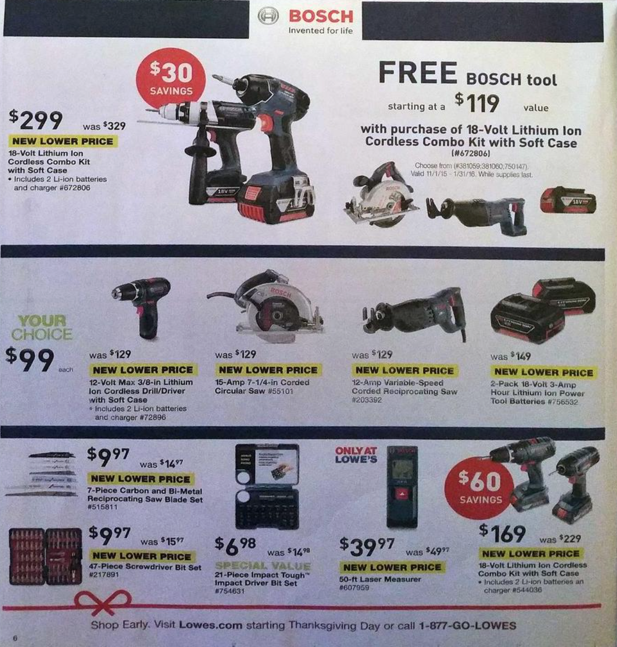 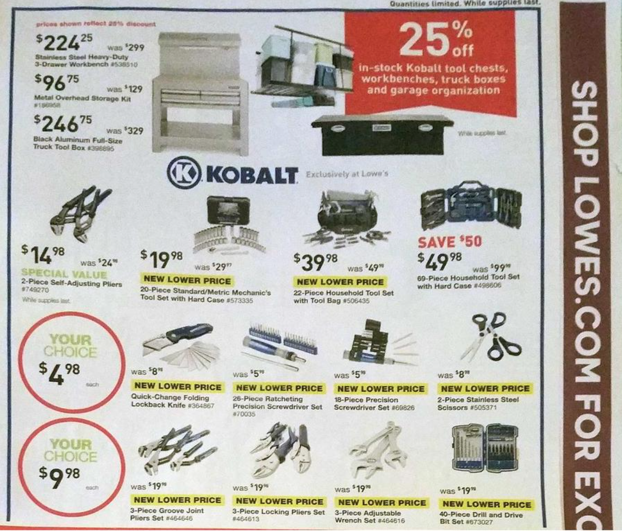 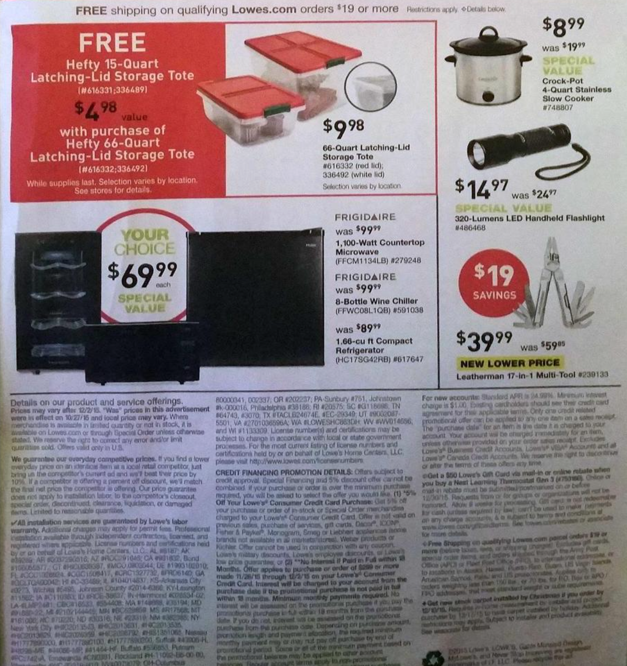 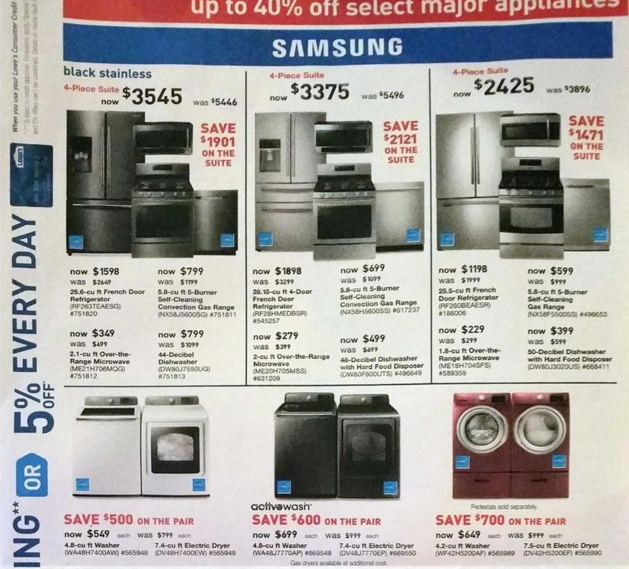 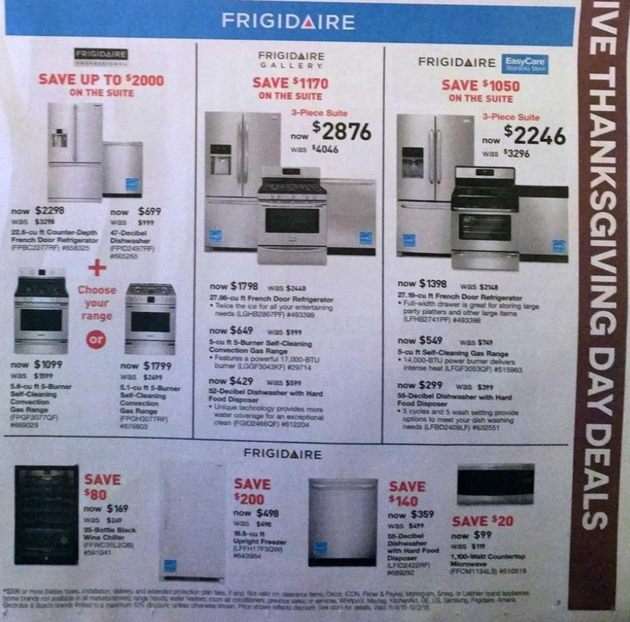 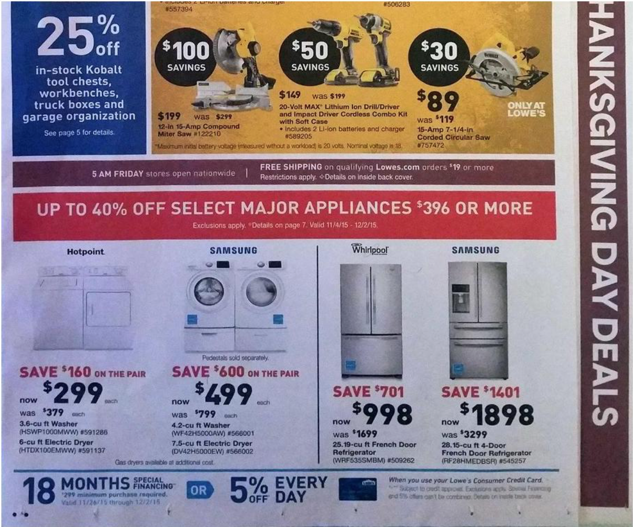 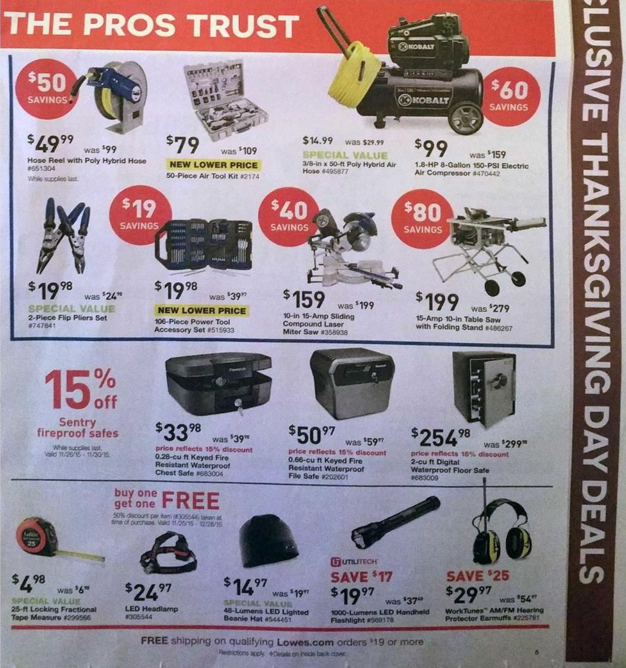 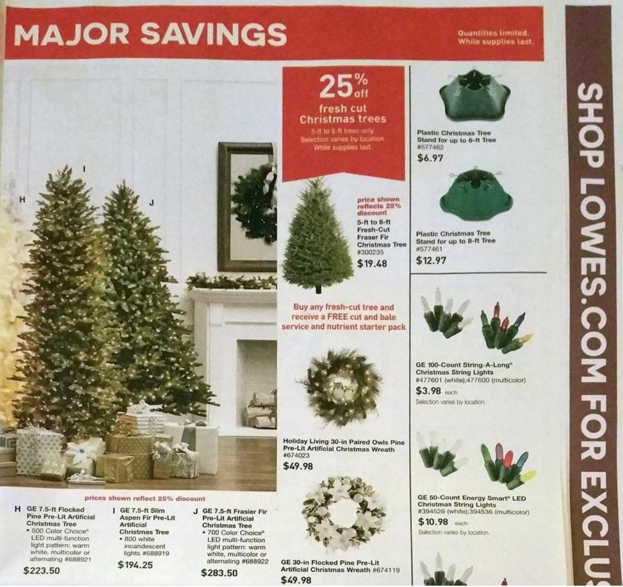 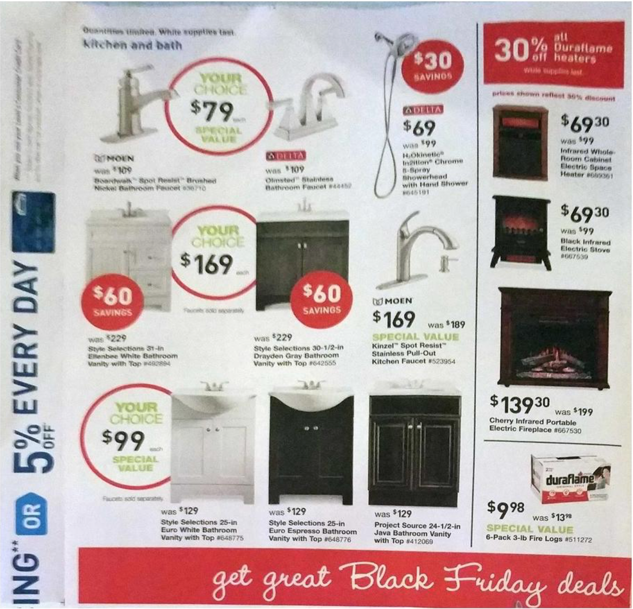 This is the Lowe’s 2015 Black Friday ad & doorbusters which will be valid from November 26 – December 2, 2014 or until supplies last. 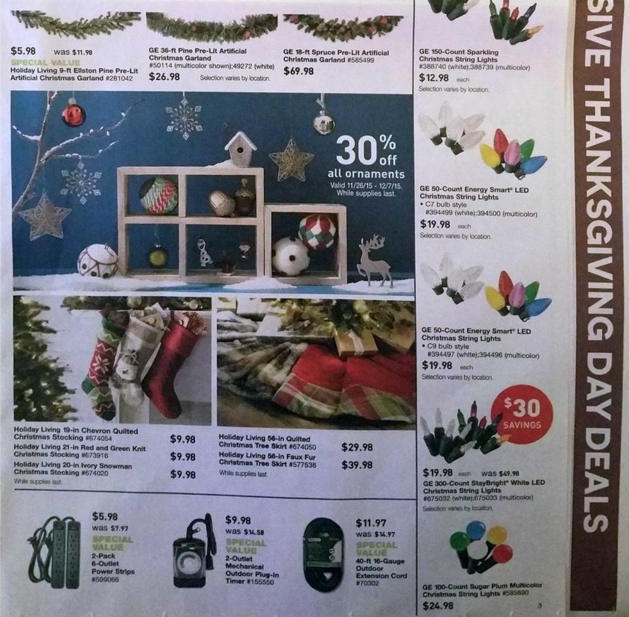 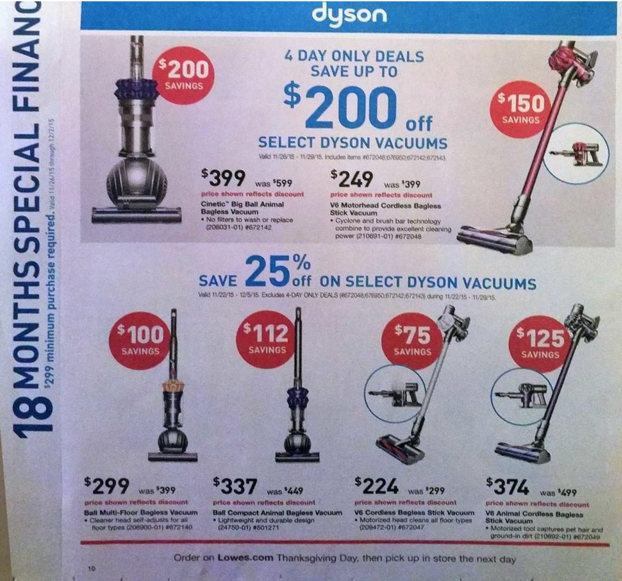 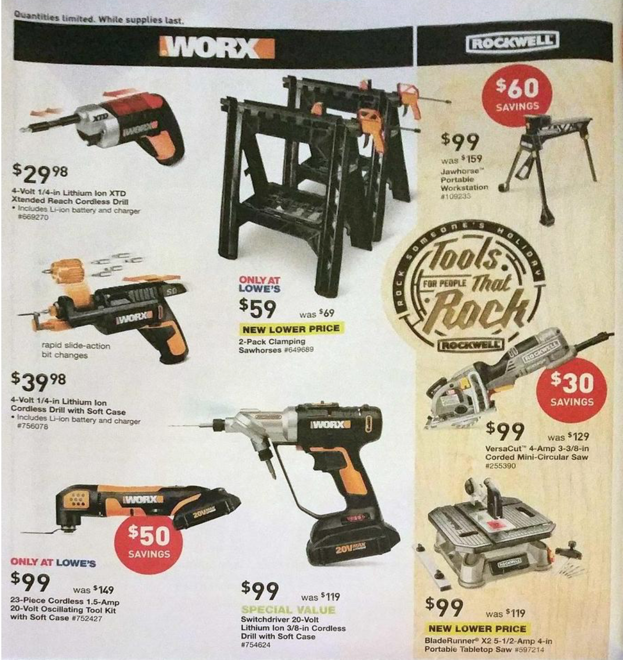 It is a leaked ad, so the pages are slightly blurry, but it will give you a good idea of their deals. 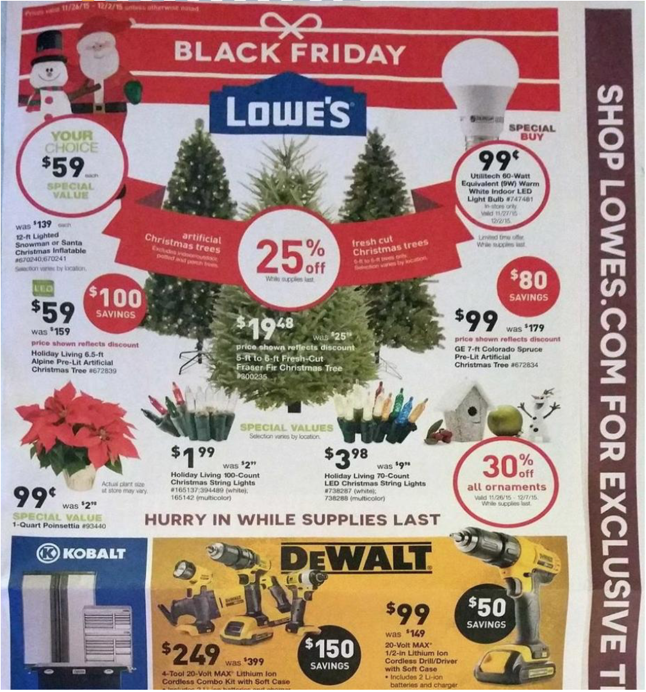 Lowes will open at 5am on Black Friday nationwide. 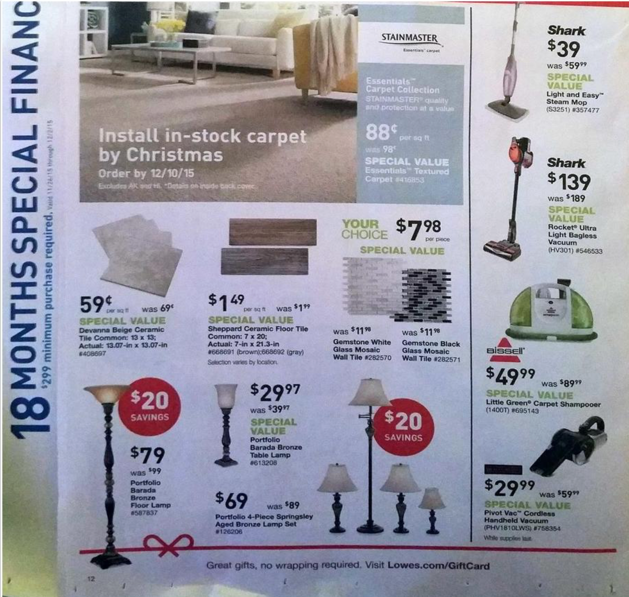 Some of the best deals include select inflatables for $59 down from $139 and ultratech 60-watt LSD light bulb for $.99 each. 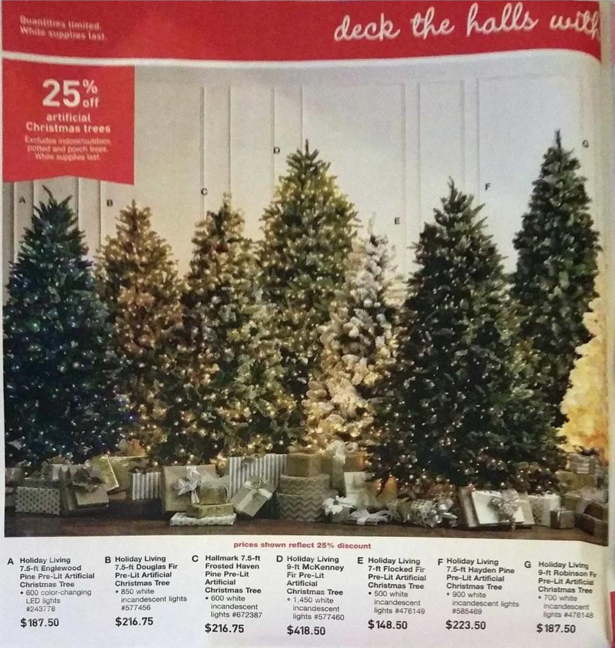 Also, all artificial and fresh cut Christmas trees will be 25% off.